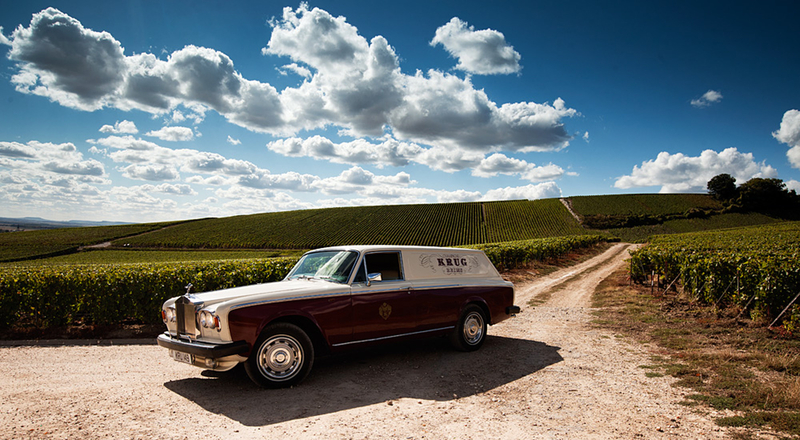 In the mid-80s Krug created a very special vehicle to deliver its prestigious champagnes to VIP customers, converting a Rolls-Royce Silver Shadow II into a panel van, covered in Krug white and burgundy livery. The memorably iconic car is now being meticulously restored by a vintage car shop to give it a second youth. Only three of these unique Rolls-Royce models were commissioned to serve the European, U.S. and Japanese markets. The custom interior was designed to deliver a memorably chic picnic to the House’s loyal aficionados, notably at high-profile events. The rear is fitted with two refrigerators to chill sixteen bottles, plus two varnished wood cases holding eight tulip champagne glasses, two ice buckets, a table and folding chairs, and a tent that folds out from the rear door. 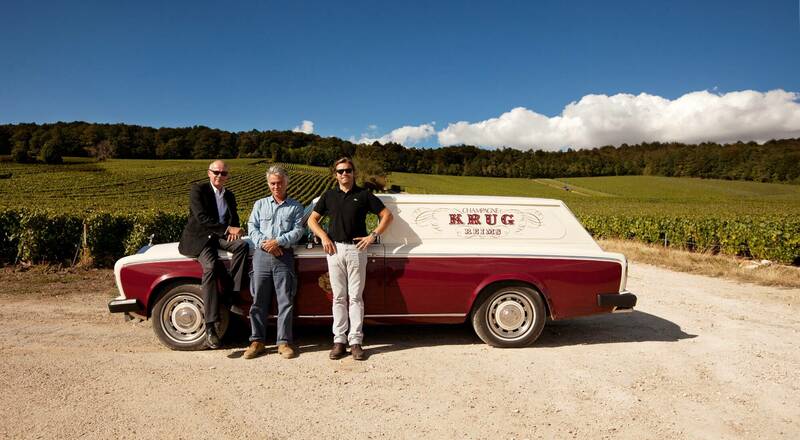 Only the European car is still owned by Krug. The restored Rolls-Royce, bearing the license plate number KRU 149, will no longer cross the continent, but will continue to delight car lovers when it is displayed in the courtyard of the Krug domain during special events.